Somehow it looks very NYC. 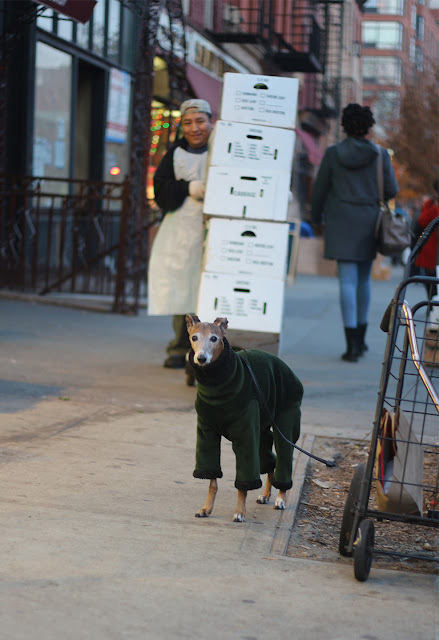 Actually, it would not surprise me that whippets need a coat there, but I thought you all were having a warm spell, too. Perhaps it was an early Christmas present and she felt the "need" to start wearing it. That poor dog looks like it just knows how ridiculous it looks!! Is that a velour jogging suit? Too funny! !